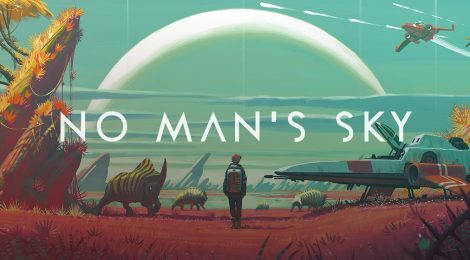 Game Thoughts - No Man's Sky - Honk if you love justice! Is it any good? I don’t…know? Seriously, I can see how some people can tune into it – there is something zen about scooting around a planet, finding the gear drops and cataloging animals. I don’t know if that part of it is going to hold up, as there is no real progression there. You can go to another different planet millions of times, but the steps you do are pretty much always going to be the same. The linear progression is too linear. Your backpack and ship, save for one specific situation below, always increase by one notch of space when you improve them. You are constantly juggling inventory. There are so many crafting materials and parts you need that you never get ahead of it. If you are going to have a limited inventory, you need a better balance of when you make the player have to make that keep/toss decision. Every five minutes, every fracking time you land at a new shelter or whatever, is TOO MUCH. Sameness. It’s a bit too easy to see “The Matrix” behind it all, as one of the Penny Arcade guys said yesterday, as there are only so many components they use to make up the creatures, and while the planets vary in numerous ways, it’s all within a very specific set of parameters. For the ships, sure, they look different, but there literally nothing else about them that’s unique – you’re just checking a box to get one more bit of inventory space when you switch. Is there a story? It seems like there is, and some of the the little side stories seem interesting, but it’s not (yet) the focus of the game. We’ll see what happens as I get farther in. It’s funny, I’ve written all of that, and if I look back it seems not very positive, but I DO want to play again. It’s almost like, there are hints at a larger, more interesting story surrounding all of this and I just haven’t seen it yet. I’m just not 100% convinced that the story actually exists, and that the treadmill of find minerals – slightly upgrade your stuff – repeat at a place only slightly different is worth sticking around long enough to find out. I’ll revisit this and update it if I delve deeper.